This album is acoustic versions of what I consider to be the best songs I’ve written to date. I had heard from some people that they liked the emotion from my live performances and that some of the fully produced tracks were missing that. 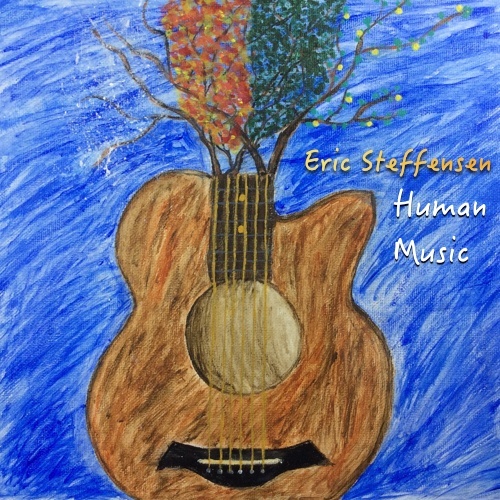 The album is called “human music” because I decided to record it in a way that included the small imperfections that are often produced out through the use of computer software, which is a practice that many people feel is making our music less expressive and more contrived. I agree with you completely … that most studios go for the perfection and forget the human element that it takes to write and perform the piece. Kudos to you for keeping true to yourself and your music!